As a residential and small investment Realtor for nearly a decade, Diana is known for “Tayloring Dreams into Realities.“ She was awarded the sales achievement award in her first year of business and has continued to do so over the years. A farm girl at heart, Diana grew up a stone’s throw from London, Ontario where she learned the value of being an entrepreneur from her father. With a love and talent for music, she opened her own music studio at age 14 where she taught lessons, created a showcase band, and competed at festivals. Three decades later, she decided it was time for a new challenge. So when Diana, her husband, Don, and their daughter, Sarah, were searching for their second home in London, she recognized an opportunity. Having worked with several Realtors during their hunt, Diana discovered she had her own ideas on how she could make the process of buying and selling a great experience. Diana continues her education and has taken several designations to enhance her clients’ experiences. 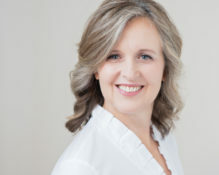 She particularly enjoys working with seniors and first time home buyers so obtained both the Seniors Real Estate Specialist and Accredited Buyer’s Rep designations and offers workshops several times throughout the year in both areas to help clients navigate the plethora of information, which is continually changing. Diana has formed relationships with a network of care partners, including qualified mortgage brokers, lawyers, stagers, personal concierge and life style specialists, mold and basement specialists, and senior care partners to ensure her clients’ various needs are met. And relationships with local Realtors and abroad are vital to her success. If clients are relocating to a new area, Diana knows whom she can connect with so they’re taken care of as well as she would. Diana loves the opportunity to “work a home” and sell it fast. In 2017, she sold several homes at or above asking price in a very short period of time. It’s all about the whole package. She knows how to put it together to make it happen for her clients. “Diana made the first time home buying process easy and exciting. She explained everything very clearly and was understanding about our hesitations. She even put together a photo album for us of pictures of our new home! Error: Error validating access token: Session has expired on Monday, 01-Apr-19 08:33:00 PDT. The current time is Thursday, 25-Apr-19 06:57:02 PDT.